Originally published by the The Hill June 27, 2018. 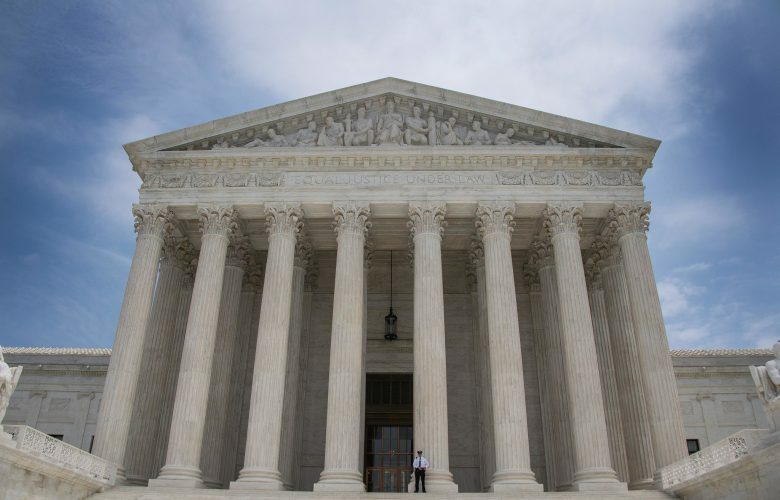 On Tuesday the Supreme Court came down on the side of free speech and freedom of thought in NIFLA v. Becerra, a closely-watched case arising from the California Legislature and courts. Like recent Supreme Court decisions, including Minnesota Voters Alliance v. Mansky, Matal v. Tam, and Reed v. Town of Gilbert, this case pitted a government intent on controlling private speech against Americans who did not wish to be told what they had to say and how they had to say it. The liberty to speak and think for oneself, which the Roberts court repeatedly has protected in recent years, won again. The FACT Act further provides that unlicensed clinics (that is, facilities that do not offer the service of professionals) must notify women that they are not licensed by the state to provide medical services to them — a claim the centers themselves did not make. When facilities (some known as crisis pregnancy centers) subject to the law challenged the FACT Act, the U.S. Court of Appeals upheld these requirements as constitutional and refused to enjoin their enforcement. But writing for the majority of the court, Justice Clarence Thomas explained that the Ninth Circuit had got it wrong — rather, both requirements of the FACT Act violated the First Amendment as content-based restrictions on speech that were not narrowly tailored to serve a compelling government interest. For close watchers of the Supreme Court’s free speech jurisprudence, the majority’s treatment of the FACT Act’s regulation of licensed professionals is of particular import. Justice Thomas took the opportunity to address the doctrine of “professional speech” that has been developed almost entirely in the lower courts. In short, the doctrine amounts to a court-created exception to the First Amendment for “professional speech” — the speech of “individuals who provide personalized service to clients.” Thus, professionals who are subject to licensing and regulatory schemes can have their speech regulated as if it is less worthy of First Amendment protections than speech of non-professionals. The Brookings Institute recently estimated that one-quarter of American workers must obtain a license to work in their profession, making the potential reach of the “professional speech” exception to the First Amendment broad indeed. Thomas rejected the notion put forth by the Ninth Circuit and other federal appellate courts that the speech of professionals is somehow due less respect than the free speech rights of non-professionals. He explained that there is no tradition in our country of providing less protection to professional speech than other speech, and that, to the contrary, the court has properly shied away from marking off new categories of speech, such as “professional speech,” for diminished constitutional protection. Understandably so, since there is no evidence that the nation’s Founders would have countenanced such an idea. Justice Thomas distinguishes these content-based speech restrictions from others the court has previously upheld. Unlike the requirement that contingency-fee lawyers provide some basic, non-controversial information, or regulations that burden conduct but not speech, the restrictions in this case focus on one of the most controversial topics in the American sphere today — abortion — are pure speech regulations, and not related to conduct at all. Likewise, when speaking to the second speech regulation challenged in the case, for unlicensed facilities, Thomas explained that the FACT Act failed First Amendment review because, as a content-based restriction on speech, the California Legislature failed to offer up any justification for the law, let alone a compelling one. As a content-based regulation of speech, the court concluded that the lower court should apply strict scrutiny to the two speech regulations included within the FACT Act, and remanded the case so that the Ninth Circuit could apply that test. In doing so, the court all but telegraphed the result it expects: for the statute to be struck down as unconstitutional. For their part, the dissenters, led by Justice Breyer, proffered that both restrictions on free speech were constitutional because the restrictions amounted to typical regulations on the practice of medicine that the court had previously approved. Further, Justice Breyer suggested that the majority’s decision would lead to future First Amendment challenges to other government regulations of speech that previously would have been considered constitutional. So it is even now, nearly 150 years after the 14th Amendment to the Constitution was ratified.